Create a thriving garden without digging! 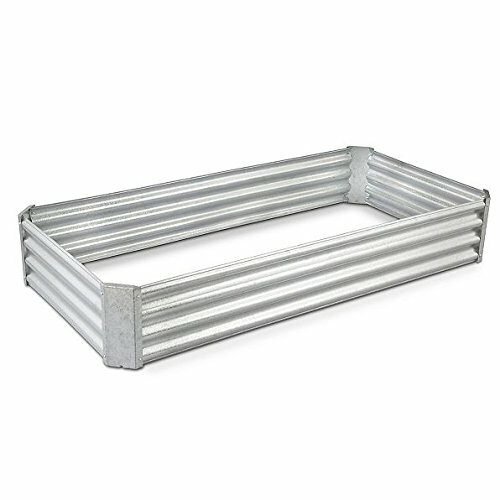 The Galvanized Steel Raised Garden Bed is easy to use. A raised garden bed is easier to work and maintain than conventional beds and lets you plant vegetables or flowers closer together, producing higher yields. Made of hot-dipped, galvanized steel, this all-weather garden bed also allows for better soil conditions and moisture drainage. Just fill your raised garden bed with your favorite planting soil and add your seeds or plants. Includes corner connectors. This elevated garden bed is made of galvanized steel which is highly resistant to rust and corrosion.